Has time actually flown by? How is it the end of 2018 already? With less than 2 months left before the New Year dawns upon us, let’s take this limited time to appreciate and celebrate the end of 2018. We’ve compiled a list of the hottest end-of-year events and festivals in Singapore that you should definitely go visit! Every year, the great streets of Orchard Road are transformed into a Christmas Wonderland that lasts for 2 amazing months. Starting in November, the bright and colorful event lasts till January and offers a range of Christmas themed activities for families and kids to engage in. Pop-up art displays, food, and drink vendors line the busy street as the excited shouts of kids and adults on amusement rides echoes through the night. Get your critics-cap on and join in on the creative buzz that surrounds this epic film festival. It’s an international party attended by world-renowned film-makers, directors, actors, and art lovers. It is one of the biggest film festivals in Singapore that has been around since 1987. With more than 200 films screened from all over the world, this film festival lasts for an 11 day period during the last days of November and early December. The iconic film festival offers a range of educational workshops, critical panels, fun seminars, and master classes for all those who wish to celebrate the Asian Film Industry. Get your dancing shoes on because it’s time to party! The two-day international dance and music festival is held at Siloso Beach in Sentosa. 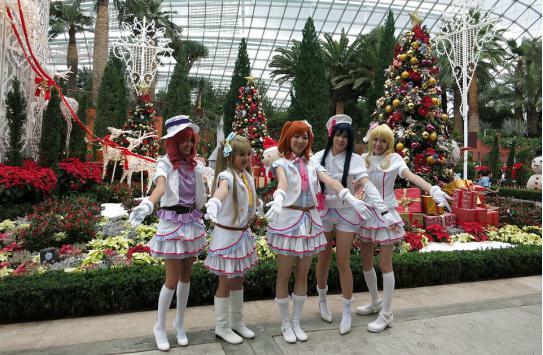 Since its inception in 2000, this outdoor dance event is held in December every year. Kick off the winter month with a bang on 1st December 2018 and dance to the beat of the eclectic music – It is specially produced by internationally acclaimed DJ’s and artists. This beach party is one you cannot miss. Thousands of music lovers travel from all over the world to experience the sensational ambiance of the beach party. Get your friends and family involved in this epic marathon race that takes place on the first Sunday of December each year. This year, it will be held on the 9th of December, so mark your calendars and get some practice in before the big race. Racers get to choose from the vast number of races that vary in length and difficulty. 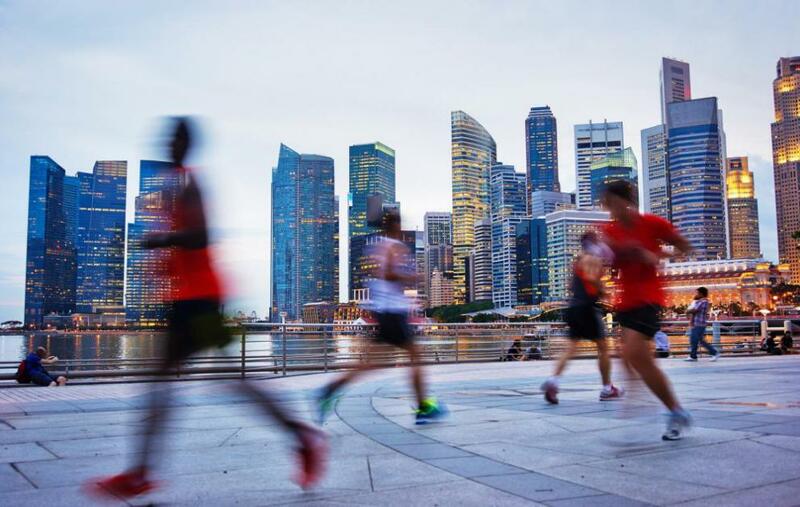 The 42 km, 21 km, and 10 km race will take them through iconic landmarks including Gardens by the Bay, Orchard Road and Esplanade. Get your whole family involved in this marathon event. There is 600-meter race especially crafted for kids up to 13 years of age. Register now for a great family bonding experience! Colorful fireworks, massive crowds and exciting music festivals! 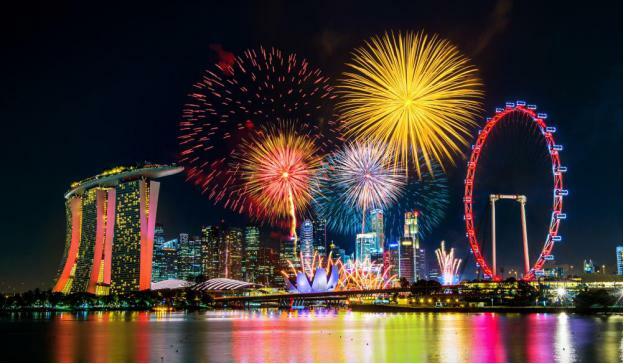 All this and more awaits you at Marina Bay in Singapore as a massive celebration is held to welcome the blessings of the New Year. Major landmarks, famous streets, and districts will be lined with street food and clothing vendors to keep the massive crowd busy until the clock strikes 12 at midnight of the 31st of December 2018. The exciting celebration will be held at Marina Bay as musicians and performers set the stage on fire with their electric performances. Don’t miss out on the New Years Eve fun and head on the waterfront to grab the best spot to enjoy the fireworks! Travel to these amazing events in style and luxury! Our limo rental service ensures a smooth and comfortable ride to and from the venue. At Star Travel Limousines, we provide a wide range of limo rentals to accommodate large groups of family and friends looking to explore Singapore. « Previous post: Fine Dine & Wine: Top Rated Restaurants In Singapore You Must Try!